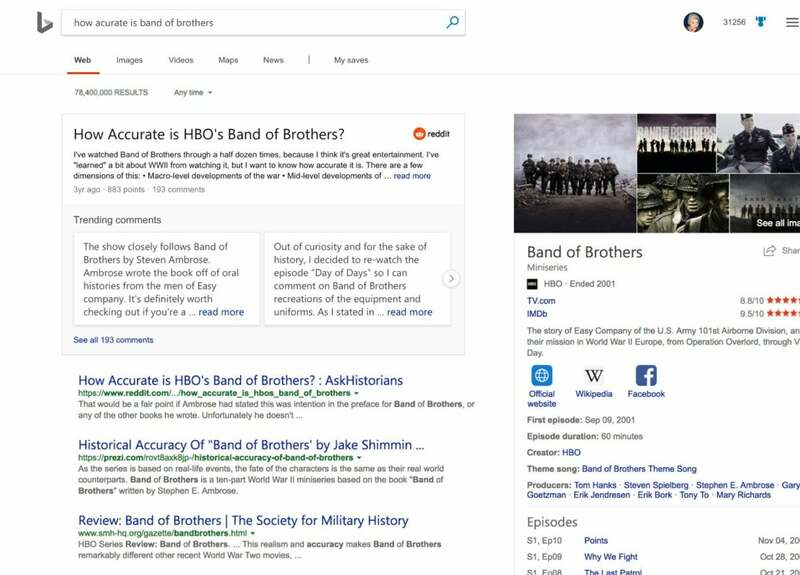 Microsoft’s Bing search engine and Cortana digital assistant might not change that much from day to day, but behind the scenes they’re getting smarter—integrating factual insights from more sources, including the opinions of Reddit users. At an AI-focused event in San Francisco, Microsoft showed off a number of improvements, all geared towards increasing the “intelligence” of Bing, Cortana, and Microsoft Office. Why this matters: Calling out some of these behind-the-scenes upgrades helps Microsoft demonstrate its unique attributes, and thus relevance, among the competing AI-based platforms of Amazon, Apple, and Google. 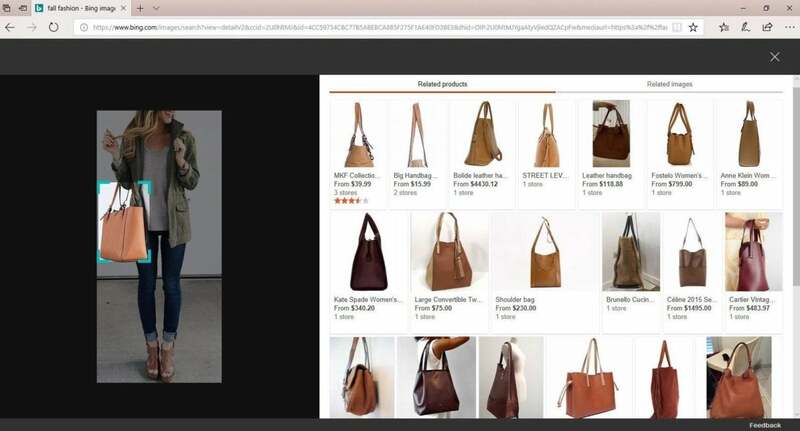 Bing already lets you comparison shop for similar items across the web. Now you can isolate an object in a photo and shop for it. Within Bing, Microsoft said it’s working to provide multiple sources of information per query—for example, “is cholesterol bad?”—to reflect multiple perspectives. Or, say a question is about a celebrity; Bing might source information the celebrity supplied in a “Ask Me Anything” session on Reddit.com in addition to a standard bio. 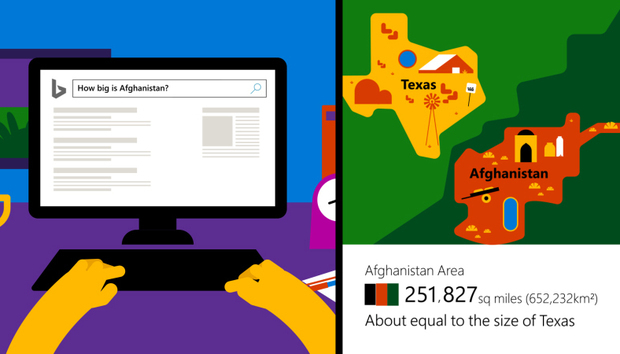 Microsoft also showed off a “click to explore” page, where Bing might suggest a series of related terms to help fine-tune or broaden the search. Seeking out an answer on Reddit highlights the divide between fact and opinion that Bing hopes to bridge. More comprehensive searches across the whole of Reddit are also possible. Microsoft also debuted what it called the “Perspective Engine,” where Bing will attempt to interpret and provide context for otherwise meaningless numbers. Asking for and receiving the size of Pakistan, for example, might not mean anything to a user when expressed in square miles. But when its size is displayed as about twice the size of California, U.S. users get it. Cortana: What do I really need to know? With Cortana, the AI assistant built into Windows 10 (as well as the Harman Kardon Invoke smart speaker), Microsoft is trying to coalesce the mountains of data you accumulate each day into something more useful. For example, there’s no way that an Invoke could “read” all of your email to you—it would simply take too long. So Microsoft’s working to have Cortana “read” your email behind the scenes, and either summarize or surface the emails—from both Outlook and Gmail—that might be most important to you. 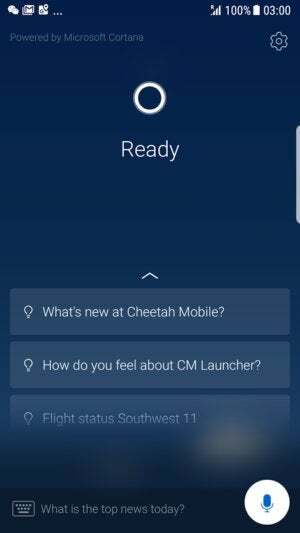 Microsoft’s Android launcher app, Microsoft Launcher, will be the engine that powers Cheetah Mobile’s own launcher app, Cheetah Launcher. Microsoft also plans to push what it calls “skills chaining,” where if Cortana is used to book tickets to an event, the assistant will encourage you to add it to your Calendar, too. That sounds a bit like the upcoming Sets, where Windows will link apps, such as Outlook and Calendar, within a single window. Finally, there’s Microsoft Office, where existing technologies like Designer help users create their own PowerPoint documents, and words can be highlighted and clicked to bring up a sidebar with more information, powered by Bing. On Wednesday, Microsoft released a preview of Office Insights, a technology that applies machine learning to suggest pivot tables and charts showing trends based upon your data. 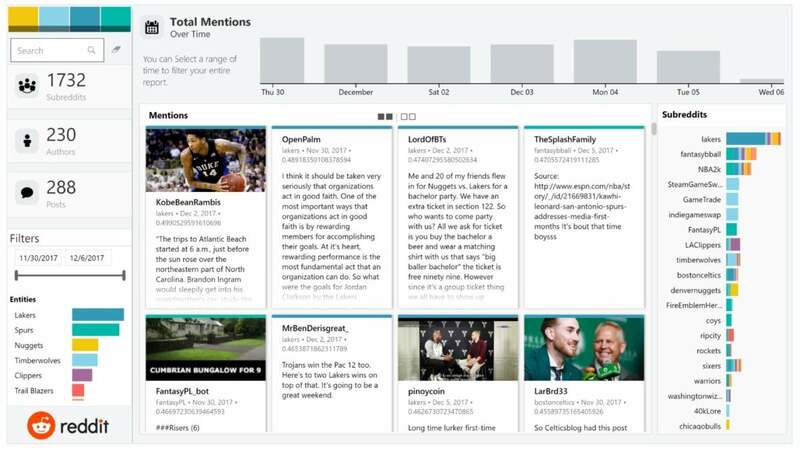 To this Microsoft plans to add new technologies such as “Tap in Word,” which will take a Delve-like approach of digging through relevant documents to find an appropriate chart or graph. Microsoft also announced plans to release a tool that highlights action items in email and gives you options for responding quickly on the go, similar to Google’s Inbox app. To enable these new features, you’ll have to allow Microsoft to read your email, your calendar, and other facets of your digital life, of course. The goal is that your PC will, over time, get smarter—and you’ll have to do less to take advantage of it.